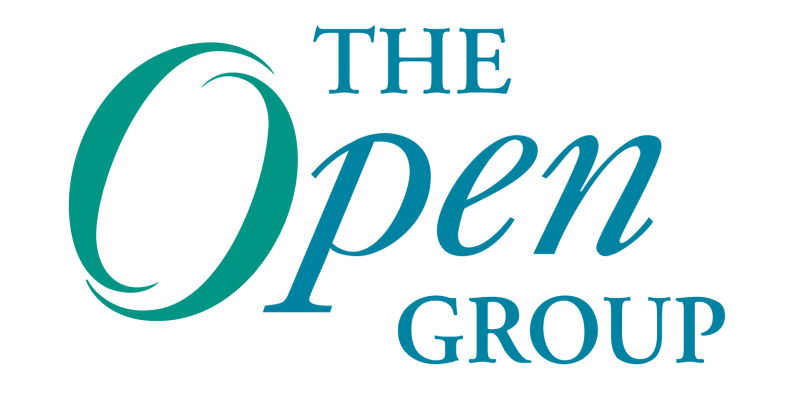 These are just two of the highlights from a recent survey conducted by The Open Group Architecture Forum that looks at how to continue to evolve the TOGAF standard to address the needs of the market and Enterprise Architects today. Fielded in October 2018, the survey was conducted by The Open Group through the Association of Enterprise Architects® (AEA), a professional association for practicing, certified Enterprise Architects. According to Sonia Gonzalez, The Open Group Architecture Forum Director, the main objective of the survey was to gather information from the market as the Forum continues to evolve the standard. Following the release of TOGAF 9.2 this past April, the survey was sent to AEA members in order to gather feedback from a large audience of certified practitioners who are using standards such as the TOGAF standard on a daily basis to gauge their specific needs regarding the standard. Nearly 1,000 Enterprise Architects from a variety of industries responded to the survey. The majority of respondents came from a handful of sectors, including IT Related Consulting Services (33%), Banking and Financial Services (14%), Government and Public Administration (12%), and Telecommunications and Networking (5%) among others. Survey respondents were from across with globe, with representation primarily from North America, the United Kingdom, India, Australia and Europe, as well as South Africa. Respondents also represented organizations that have active Enterprise Architecture practices, with nearly half (47%) of organizations having an Architecture practice that has been in use for more than three years. Of those responding, more than half (53%) are using parts of the TOGAF standard within their organizations and 16% use the standard as part of their regular processes. Organizations also report using a variety of other Architecture methodologies and frameworks as part of their practice, including frameworks such as SAFE, Zachman and others. Six percent of respondents reported using only TOGAF within their organizations. In general, respondents believe the TOGAF standard can be applied to deliver Enterprise Architecture (EA) based on organizational needs. Sixty two percent of those responding believe TOGAF can be applied to deliver EA to their organizations either “very” or “quite” well. However, 30% of respondents say the TOGAF standard can only be applied “somewhat” well within their organizations. This fact represents an area of opportunity for The Open Group, and is also key input for identifying the improvements needed in the standard to address the concerns and required features to address new trends, as well as the challenges of keeping the standard’s status in the market. According to Gonzalez, one of the current goals of the Architecture Forum is to simplify the core of the TOGAF standard to make it “lighter, easier to use, and smaller.” Survey respondents agreed with this approach, indicating that they would like to see a number of improvements including information on how to set an EA capability (42%); decoupled content related to tools and techniques (40%); decoupled content on how to adapt and use the TOGAF Architecture Development Method (ADM) (38%); content related to governance frameworks and compliance (34%); and content related to architecture content, such as content frameworks and metamodels. Gonzalez believes the most significant results from the survey point to how the standard should address new trends. She says the Architecture Forum’s current strategy and plan is to deliver additional guidance in those areas and through engagement with working groups within the Forum, such as the Digital Practitioners Work Group. In addition, she says the Forum will likely pursue more joint activities with other Members and teams of The Open Group to address these issues and provide more consistency between all standards of The Open Group. Another area of guidance survey respondents are looking for is practical use examples and case studies, particularly in vertical markets outside of IT. According to Gonzalez, companies that have less maturity and experience in delivering architecture need to show the value delivered by the practice in business terms to managers and executives that are looking for concrete examples of how it’s worked for others in their sector. “If you know a story that has been successful, it will be easier for you to convince your manager to go for this,” she says. When it comes to Business and Digital Transformation, although between 15-20% of respondents said the TOGAF standard is well-suited to support either the adaptability needed for Business Transformation, innovation, or Digital Transformation, a majority of respondents either believe the standard could cover these needs with more guidance or said they think the standard’s guidance is currently too general and additional improvements and guidance are needed. Survey respondents also called for specific improvements to both the metamodel and the standard in general. In both cases, users called for the metamodel and the standard to be simplified, as the Architecture Forum is currently working on. Again, deeper guidance on how to use the standard in general was called for. Gonzalez says that the current standard tends toward normative, generalized content that can be applied to many situations. As such, the ask from users is “about going deeper”. For example, how to use the standard along with agile, how to use the standard in government, how to use the standard for banking, how to use the standard if I’m also delivering COBIT as a governance framework, how to use with along with my current project management practice. These are some of the ‘hows’ that the market is asking for—something more specific, more concrete,” she says. According to Gonzalez, the results of the survey came as no surprise—most of the issues respondents addressed have already been in discussion within the Architecture Forum and she says the results validated the current direction the Forum is taking. As far as next steps, Gonzalez says the Forum will begin to define the most pressing needs and prioritize from there. In addition, the Forum is also looking at additional channels for disseminating the survey results to AEA members, survey participants, and other TOGAF users.